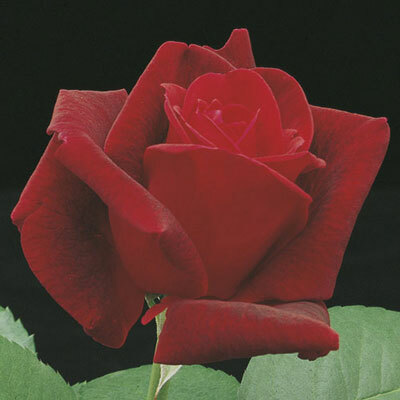 A landmark rose that still hypnotizes people with a powerful rich rose fragrance and velvety red petals. The large full shapely flowers are proudly held atop straight stems clothed with dark matte-green leaves. Vigorous and at its happiest in hot temperatures. Introduced By Germain Seed & Plant Co.